Don't you ever get tired of everyone in the world demanding your attention? It's like we're caught up in some vicious cycle of co-dependent attention slavery. There are a million apps and companies notifying you all the time that you have to pay attention to them. If it isn't a notification, it's an email. You spend countless wasted minutes every day clearing these notifications and dealing with these emails. On the other hand, companies are desperate to get your attention. They track things like monthly active users, views, likes, etc. The financial success of various companies is directly connected to how many users they can get to log into their products, and how often they can get them to log in. Furthermore, a linear growth in usage is not acceptable. Everyone wants a hockey stick of exponential growth. Yes, I'll admit the hypocracy in my complaining about this considering I worked in developer relations for two years, and I worked at a social media company for another two years. 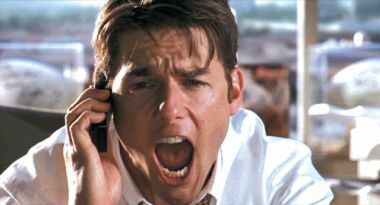 Permit me to have a Jerry Maguire moment. Stop! What can we do to break this cycle of co-dependency? If these apps are so smart, why do I have to babysit them all the time? Why does my leisure not feel leisurely anymore? How do we make the pain stop? 1) Planned home internet outage. 3) If all above fails, planned power outage.